Sure enough I had a really hard time locating something that would meet the criteria of the topic. I've been searching for a book that met the requirement ever since he pulled the topic for me over a month ago! 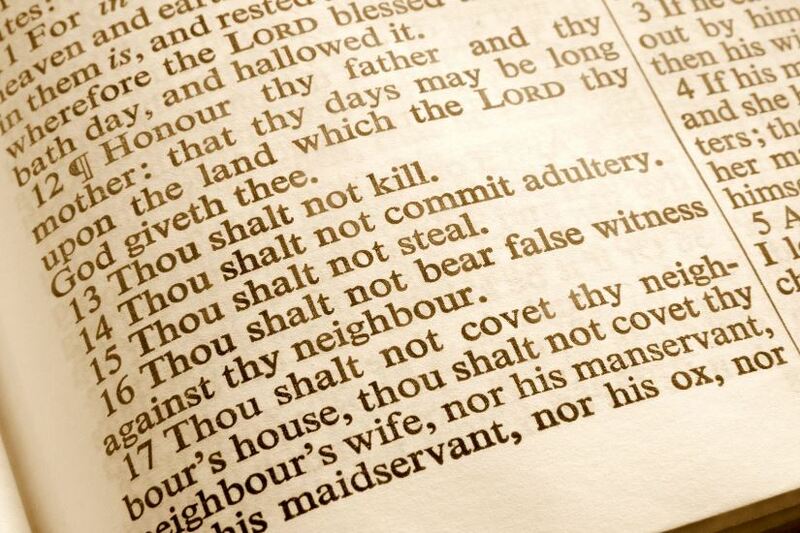 Not even the Bible meets the requirements! It's full of greed, lust, envy and murder. What was I going to do?! You shall not make yourself an idol. Remember the Sabbath day, and keep it holy. With the internet being no help (I guess no on out there has ever boasted their book doesn't break any commandments) I decided to head to the religious section of the bookstore. Sure I could find something there. Here is where I found Only Love Today. I found that while flipping through it it seemed to match all my criteria, and it would also be a great book to recommend as a New Year's Resolution book as well. Nothing like two birds with one stone, am I right, Emry? Live undistracted, heart led, and hands free... every day. Rachel Macy Stafford, known as the Hands Free Mama, equips readers to breathe life into what really matters: the ordinary moments in our routine lives and the people in them. Stafford's inspiring words fill this beautiful book of short pieces constructed around the seasons of life. This flexible, non-dated, moment-to-moment resourse of encouragement can be picked up whenever you need to find meaning in the meaningless... when your soul is weary... when your heart is heavy... when your connections are weak. Only Love Today's life-giving words remind you of the tools you already possess and the insights you already have to guide you back to what matters most. Regardless of what you're experiencing or what season you're in, you'll find wisdom and encouragement to move each day in a positive direction. Only Love Today - is clarity when you're conflicted. Only Love Today - is unity when you're divided. Only Love Today - is faith when you're uncertain. Only Love Today - is a reset button directing you back to what matters most. During Rachel Macy Stafford's introduction she plainly states that this book is not a daily devotional book, and it's not; however, this is not one that you sit down and read straight out either. Only Love Today is an inspiration book that will make you sit and think about what you have just read and compare to your own life. Each individual entry is - as the full title says - a reminder. A reminder to "breathe more"; a reminder to "stress less"; and mostly a reminder to "choose love." 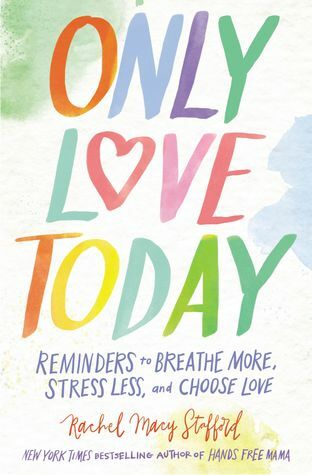 Only Love Today is a thought provoking book that makes you really take the time to look at your life and realize just how much of it is revolved around the things that don't matter in life: scheduling, work, to-do lists. Why aren't you spending more of that time on the loved ones in your life? Doing these reviews and writing this blog in general takes a lot of my time. I try to schedule it out so that I'm not always working on some part of it, but things don't always work out the way that I hope, and end up taking more time than planned. While reading Only Love Today one morning, worrying over my looming deadline to have it read by, I had to remind myself to stop and take a moment to look at what was really important: finishing this book to have the review posted by a specific date, or take the ten minutes I had left of my planned reading time and spend it with those that I love? While I don't have human children, my fur children need my love and attention, too. I looked up from reading to find Gandalf - my Great Dane - staring at with with sad eyes from the couch; Emry - my Green Cheek Conure - banging on his cage door, wanting nothing more than to sit in my hair; and Simon - my tabby cat - sitting at my feet, staring at the lap my book was in instead of him. It broke my heart seeing these loved ones wanting my attention and here I was, not giving them the time of day. Right then, I put the book down, Put Emry in my hair, grabbed one of Gandalf's toys, and coaxed Simon into my lap and spent the next ten minutes focusing my attention on them. Reading this book helped to remind me that life isn't compartmentalized. I, like Rachel Macy Stafford used to, cannot plan every little detail out and expect to live a fulfilling life filled with love and memories. You can only build both of those things by living in the moment and experiencing them with loved ones. After reading this book, I (try to) no longer hound my husband, Jack, with annoying questions, but rather tell him about something to begin a conversation, and take those special moments and run with them. So what if I don't get something checked off my to-do list, there's always tomorrow for that, but that special loving moment is only here right now. For 2018, resolve to take the time and live in the moment. Resolve to spend more time with loved ones and less time on the things that don't matter. Resolve to take the time to slowly read Only Love Today, and cherish the moments it will help you to see in a new light. Love this book? Check out Everyday Gifts written and illustrated by Susan Squellati Florence. A very short but beautiful book that reminds you to open your eyes and see all of the wonderful gifts you are given each and every day. Everyday gifts line the path of our lives. Like sunflowers blooming along the highway, they often go unnoticed as we speed by. Butterflies, bees, and birds receive nectar from the sunflower and carry pollen from flower to flower. We too are sharing our gifts with each other. Pair it with: A hot glass of tea of your choosing. Not sure what to drink? Then check out Sips By, a monthly tea subscription box that comes straight to your door. Each box is personally selected with your tastes in mind, with love. Start a conversation: When life is pulling you in ten different directions, what do you do to put yourself in the now and Only Love Today?